This birthday cake was created for a passionate green fingered gardener. 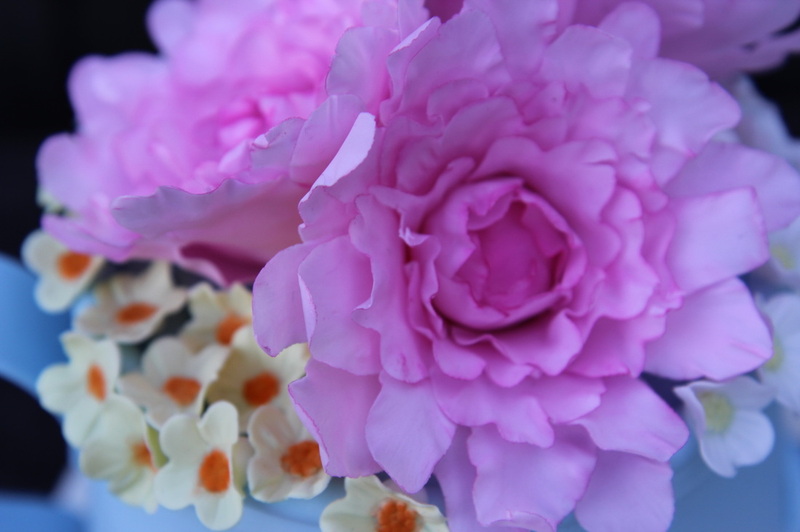 The watering can was made with a sponge cake filling and decorated with pale blue, sugarpaste icing. 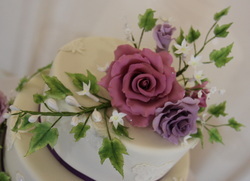 It is topped with bouquet of peony and little spring flowers, sitting on top of sugar paste white tiled board.